Is there a better alternative to Lighten? 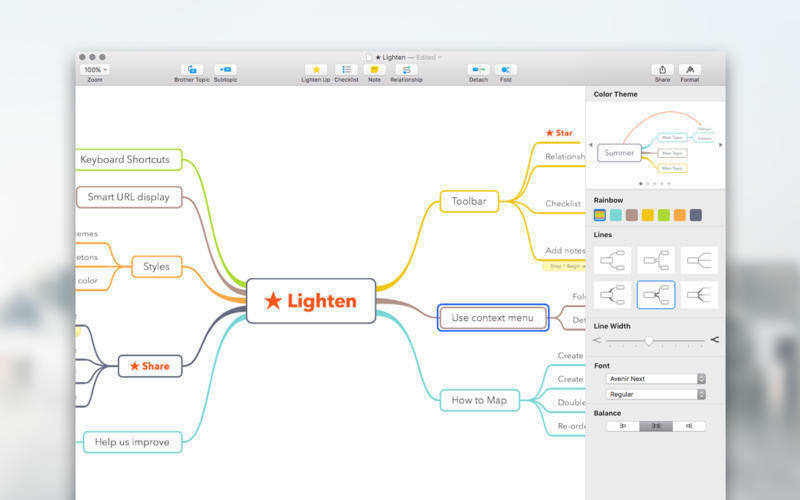 Is Lighten really the best app in Project Management category? Will Lighten work good on macOS 10.13.4? 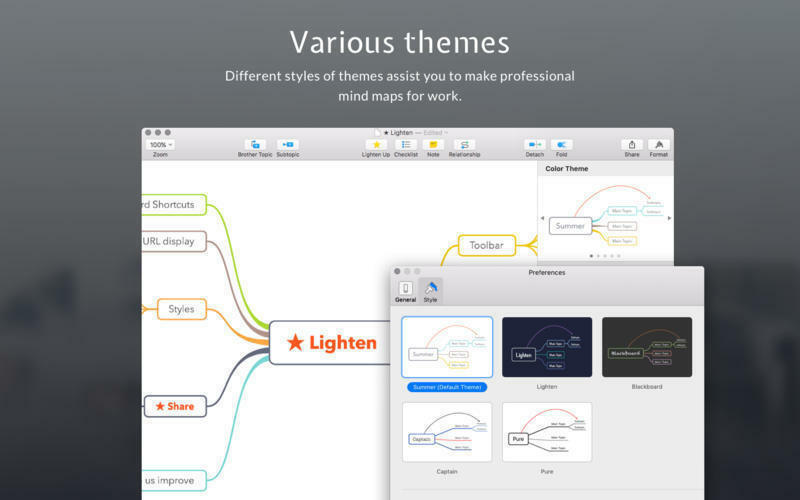 Lighten is a mind mapping app for a way to clarify thinking, boost productivity, brainstorm, and visualize concepts.. It offers a perfect balance between powerful features and ease of use. Lighten is designed to be simple, but it has strong features. 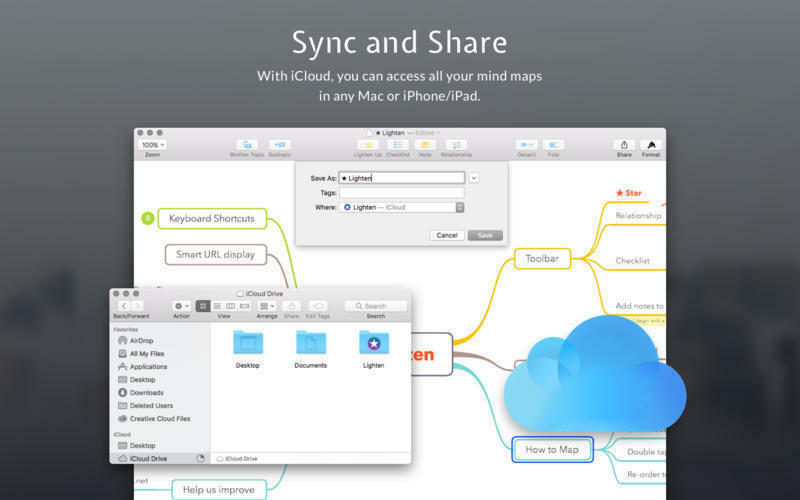 You can use it with iCloud to save and sync your mind maps. 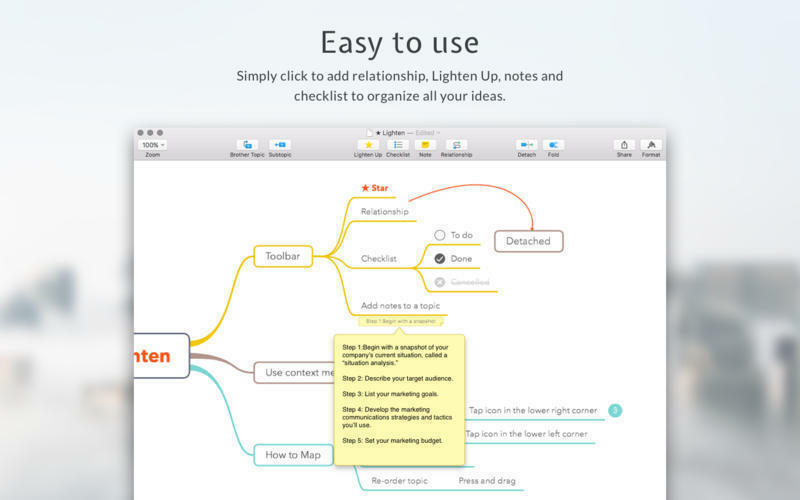 Lighten is a great choice to organize your mind, write notes, adjust plans and so on. Lighten needs a review. Be the first to review this app and get the discussion started! Lighten needs a rating. Be the first to rate this app and get the discussion started!